View More In Home Office Cabinets. 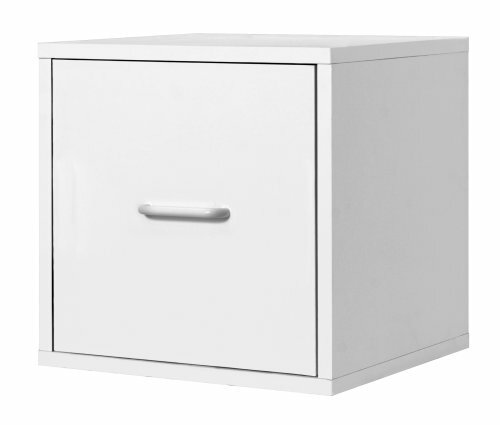 This modular PVC laminate veneer white file cube is practical and functional. Perfect for the home office. Holds letter size hanging files. Easy sliding drawer. Overall size 15-inch W x 15-inch D x 15-inch H. Frame is made out of solid wood, each panel finished with PVC laminate. Sturdy and stackable for maximum durability. Holds up to 200 pounds per assembled unit. Hollow-core construction makes the cube weigh 50% less then traditional particle board. Packed pre-finished, easy assembly and installation. Unlimited combination options so you can create exactly the system you need. If you have any questions about this product by Foremost, contact us by completing and submitting the form below. If you are looking for a specif part number, please include it with your message.